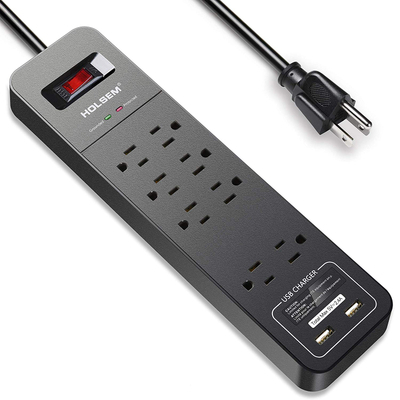 ▪ 8 AC outlets and 2 USB ports surge protector with 6 ft extension cord ideal for home office. 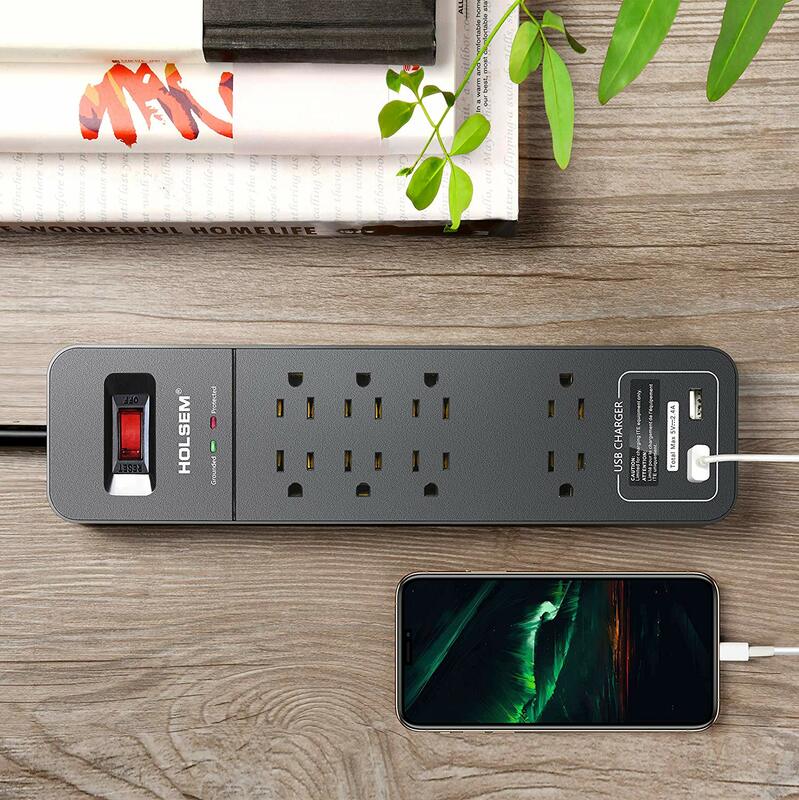 2000 joule energy rating is ideal for computers and telephones. 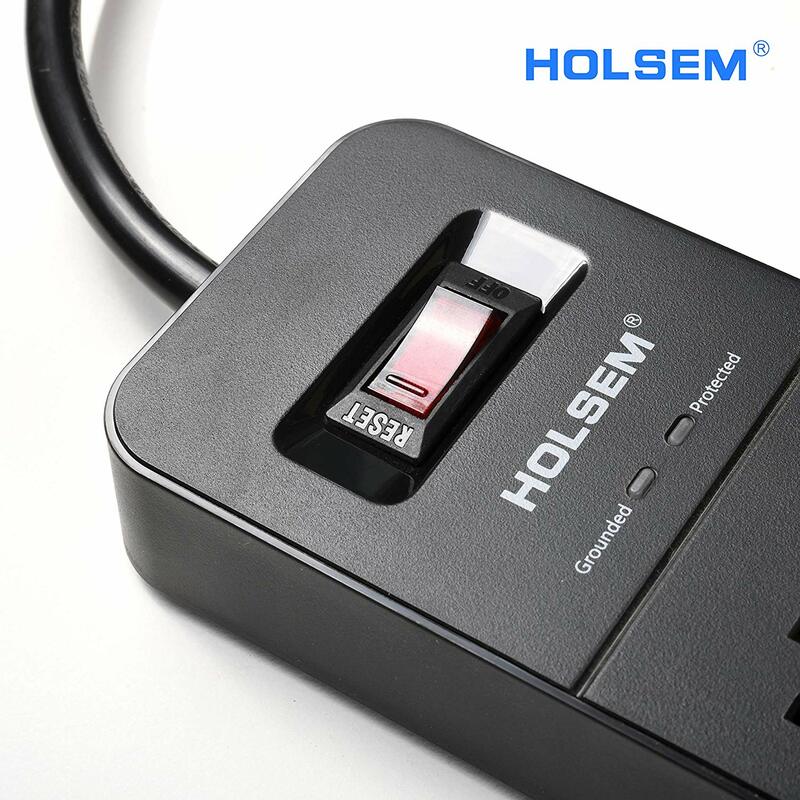 ▪ 2 X Smart USB: The 2 built-in Smart IC technology USB ports deliver the fastest possible charge speed up to 5V/2.4 A. 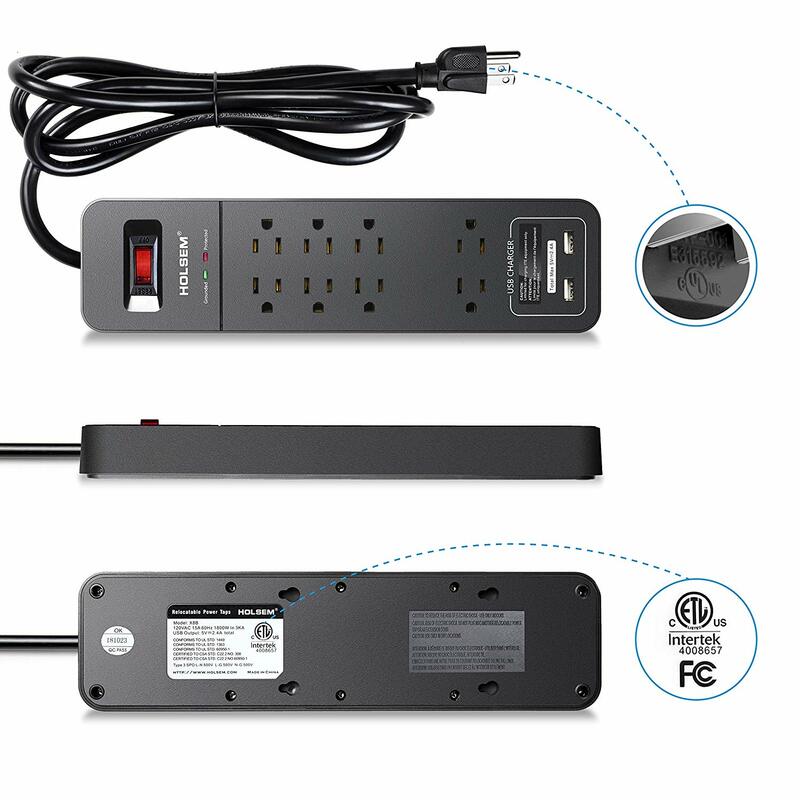 ▪ Guaranteed Quality and All-around Protection: ETL Listed and FCC Certificated.Surge Protection feature safeguards your electronics. 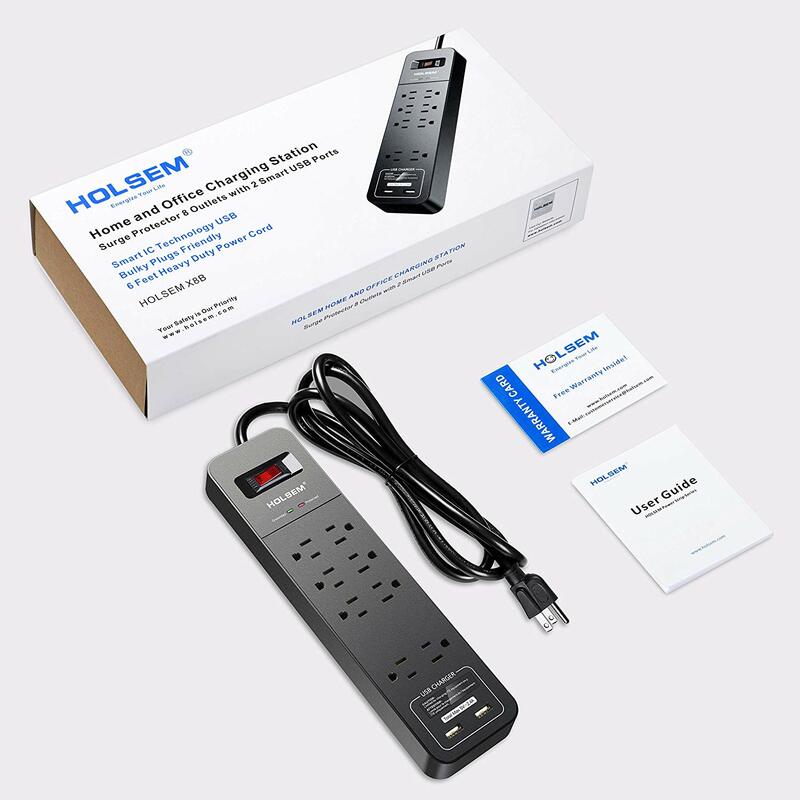 Made of Flame Retardant Material which is able to withstand temperature up to 1,380℉(750℃). 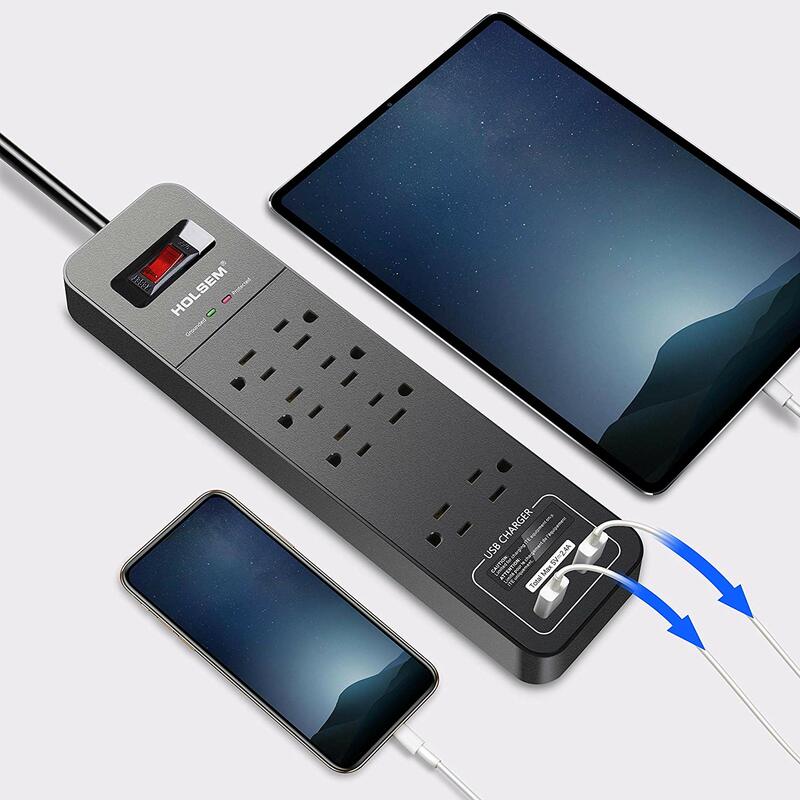 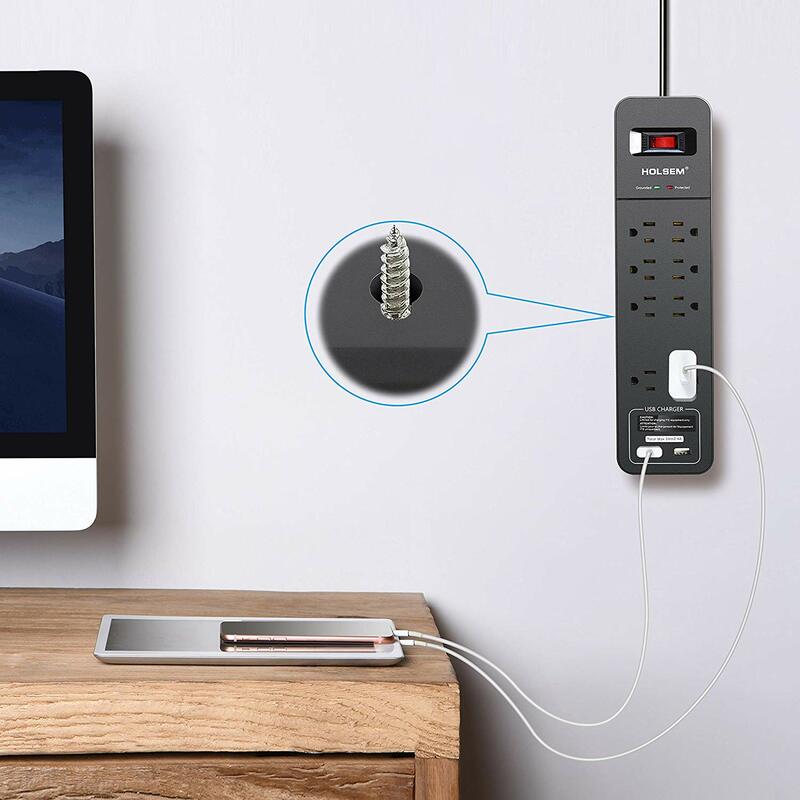 ▪ Convenience: 2 widely spaced surge protected outlets for bulky plugs and 6 surge protected outlets for normal style plugs.The keyhole slots on the back allow you to easily mount it to a wall or baseboard horizontally. 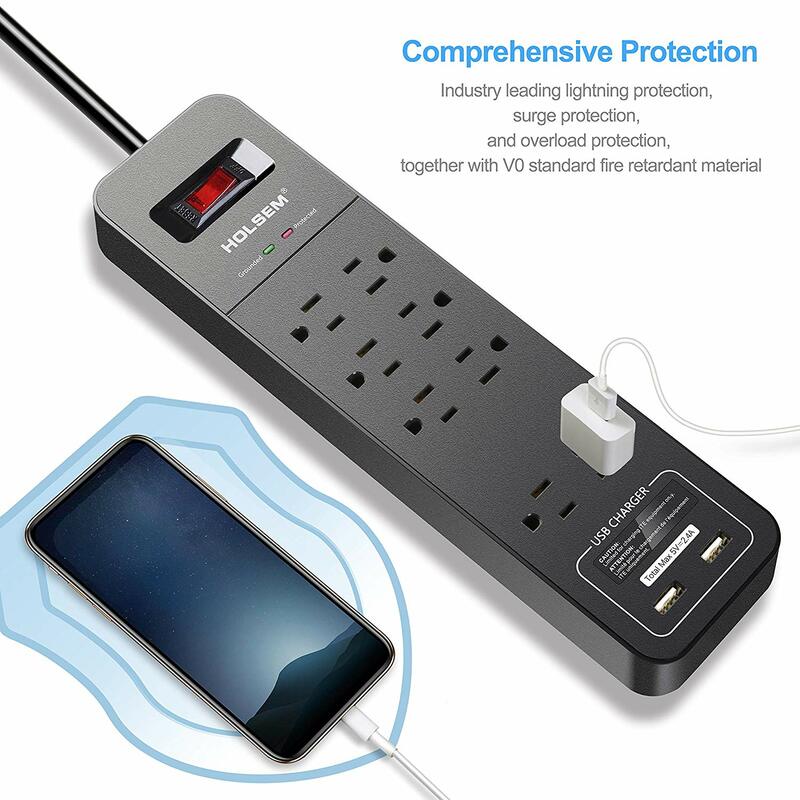 light makes the surge protection function visible and more reliable.